We use proven Quantum Science and Quantum Physics Technology that can give you "Instant Results" and amazing long-term benefits for the rest of your life! It will immediately restore your body's natural balance and give you "The Power" to restore and rejuvenate your body at the cellular level. We're taking a "Holistic" approach to help educate people just like you about the devastating effects of electro-pollution and what to do about it by simply wearing The revolutionary Power Pendant. WATCH THIS SHOCKING VIDEO to see the ALARMING EFFECTS of these INVISIBLE ENEMIES!!! GOOD NEWS! The Power Pendant instantly "amps up" your bio-field to protect you from harmful EMR (Electro-Magnetic Radiation) from cell phone signals, cell towers and the invisible electro-pollution all around us that constantly invades our bodies; even in our sleep, 24/7. Do you suffer from any of these symptoms that have been linked to "short-term" EMF exposure: Itchy Eyes, Skin Rashes, Chronic Fatigue, Insomnia, Depression, Hair Loss, Vision Disturbances, Headache, Mood Swings or Anxiety? If you think those conditions are alarming, just look at the effects of "long-term" exposure that has been linked to these life-threatening and even deadly conditions: Cancer, Childhood Luekemia, Brain Tumors, Miscarriages, Birth Defects, Multiple Sclerosis, Alzheimer's, and Parkinson's Disease, just to name a few! Children are most at risk because their skulls are not yet fully developed and babies' skulls are even thinner which allows deep penetration of radiation into their brains. There are now over 2 billion cell phones in use worldwide not to mention the number of laptops, personal computers, Wi-Fi towers and EMF's that are emitting dangerous levels of toxic radiation that silently invades your body 24 hours a day, 7 days a week without you even knowing it! The Power Pendant contains lab tested volcanic mineral stones and crystal elements that are safe and structurally bonded together through fission technology. These “alive organic” elements are carefully selected and bonded inside the pendant to release a large amount of scalar energy that will instantly restore the body's bio-field to align with the earth's bio-field which creates more strength, balance and electro-protection. The Power Pendant is waterproof and manufactured using Quantum Science Technology to provide us with abundant scalar frequencies. The hand crafted steel or copper pendants contain high quality bonded volcanic mineral stones and crystals from the Philippine Islands, Japan and Germany that efficiently emit the powerful scalar energy. This natural energy creates a whole range of profound beneficial effects on the human body. Scalar Energy is a wellness and healing energy solution as nature intended. Eliminates jet lag and body pains like headache, arthritis, etc. To learn more about this amazing technology and to see what's inside our pendant or how to scalar energize your drinking water, coffee, tea or juices, click the scalar energy link above. The Power Pendant is a revolutionary Quantum Science bio-tech device that emits natural scalar wave frequencies to greatly improve your health and wellness for a lifetime! The Power Pendant contains lab-tested, virgin "alive, organic" minerals and crystal elements like Germanium that is widely used as a therapy for cancer patients. Tourmaline is also part of our unique formula which creates powerful negative ions to help balance and strengthen your bio-field. Original SS Power Pendant: $ 159.00 usd ea. Mini SS Power Pendant: $ 149.00 usd ea. GQ Power Pendants: $ 199.00 usd ea. For NGO's, Churches, Schools and similar organizations, we offer two sided, custom branded pendants with your logo/web site and contact information. Your custom laser imprinted or embossed pendants will serve as an ongoing form of free advertising for your organization while continuously improving the quality of life and good health of your recipients for a lifetime! Volume order discounts are available upon request to help your organization raise funds for your community service projects. The Power Pendants are a very logical and a perfect fund raising medium for the high-tech world of electro-pollution we all live in today. Give the gift of wellness, buy The Power Pendant for you and your loved ones today! It nullifies the effects of man-made frequencies (60 cps) in the human body. 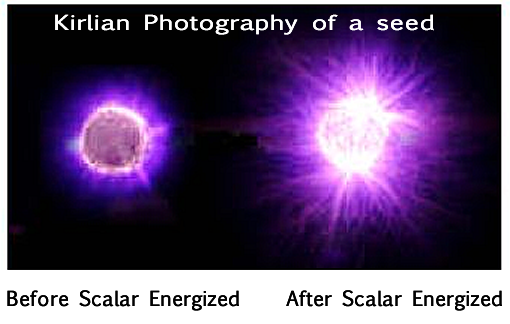 Scalar energy increases the energy covalent level of every single hydrogen atom in the body as verified by spectrographs. This is significant because covalent hydrogen bond is what holds your DNA together. In other words, wearing The scalar energized Power Pendant can protect your DNA from damage. Even though scalar energy is not fully understood, one cannot deny the tremendous effects it has on our bio-field (Aura) by promoting a positive flow of energy. The Power Pendant helps restore our body’s natural balance therefore it promotes natural healing. The Power Pendant is a natural scalar energy booster that instantly tunes your body for optimal levels of performance. There is something really quite remarkable about the way scalar energy increases the tempo of activity within the body. Your personal "active" molecules will only accept scalar energy rays if they are of the same intrinsic vibration frequency (8-14 microns) as themselves. So in other words, when scalar energy is playing the right beat, your cells will absorb the scalar energy wave, and crank up the rhythm of the "dance". Of course, all the members of your band (atoms) are now excited and starting to heat up. The scalar energy has got everyone worked up and performing at a higher "vibration" level. That's when really good things start to happen within your body! The effects of scalar frequencies also help to un-clump blood cells and to help dilate your arteries, blood vessels and tiny capillaries. Therefore, circulation and metabolism dramatically increases. Basically, your "marching band" at the cellular level starts moving faster, kicking higher and more collectively thus creating optimal performance! This helps to maintain energy balance or repair our body that has been weakened by daily exposure to negative energy or EMR (electrical magnetic radiation) from cell phones, television, computer, x-ray, microwaves and electrical appliances. The Power Pendant is durable, easy to wear or carry and can even scalar energize your drinking water. 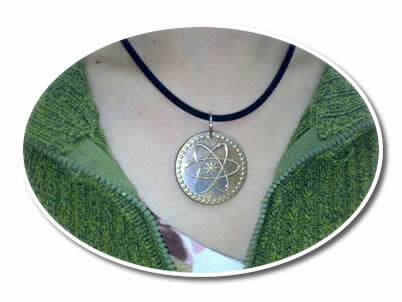 The scalar energy in The Power Pendant does not diminish. In fact, it provides you consistent energy for a lifetime! Scalar Energizing your water, coffee, tea or juices is easily accomplished by simply putting The Power Pendant directly under or leaning it next to the glass or pitcher so the liquid absorbs or "picks up" the scalar frequency for 10 to 15 minutes and you will be surprised at the results! Here's a Sneak Peak of our Secret Formula! This photo shows the unique and proprietary mineral formula that is the heartbeat of The Power Pendant technology. These lab tested "alive" organic volcanic mineral stones and crystals from around the world produce an amazing amount of scalar frequencies that will actually increase in volume within the 6 months of the "curing" time from when the formula was first blended. This "alive" organic phenomena is mentioned in the PDF titled "Barron Report" located "here" that is based on proven research and studies over many years of creating scalar energized herbal tinctures. absorbed by the body as a cell phone sends out and receives its signal. Keep cell phones away from your body. Holding the phone at least one inch away significantly reduces the radiation absorbed into your body. • Text instead of talking. • Do not carry phones in pockets or next to torso. even when not in use. attempt to connect to a tower. • Radiation levels vary by phone. SAR (specific absorption rate) is a measure of radiation. Lower SAR means less radiation. Look up your phone’s SAR at www.ewg.org/cell phone-radiation. How does The Power Pendant produce natural scalar energy frequencies? It’s been scientifically proven that different earth elements emit beneficial positive frequencies (scalar energy) that can enhance the bio-fields of plants, animals, humans and water. Each pendant contains a proprietary formula of hand blended “alive” organic mineral stones and crystal elements that create a strong, yet naturally safe and balanced earth bio-frequency (scalar energy) that helps to match a person’s bio-field (Aura) to the earth’s natural bio-field when wearing the Power Pendant. How does balancing my bio-field with the earth’s bio-field help me? This creates natural earth wave harmony within your bio-field which creates more balance, focus, strength, agility and peak performance when engaging in any sports or other forms of exercise including yoga, dance, and even meditation. Will The Power Pendant help protect me from electro-pollution? Yes, the natural scalar energy will nullify and convert the harmful man-made frequencies into natural-wave frequencies therefore protecting your body from these invisible enemies that silently attack our body in most areas 24 hours a day. For instance, cell towers emit microwave radiation to send out a signal. What happens when you put water in a microwave and turn it on? The microwave frequency heats the water. Our bodies our made up of 70% water and our brains 90% water. By effectively converting and nullifying these harmful frequencies, we give our bodies and a fighting chance to protect ourselves and to safely and naturally improve our health by wearing The Power Pendant continuously. How soon before I notice the positive effects? Some notice true results within minutes of wearing the pendant and others notice results within a few hours to a few days depending on their level of sensitivity or awareness. If you do not notice any results after a few days, try taking it off for a few hours or a day and you should notice the difference when you have it off or when you start wearing it again. Does The Power Pendant help reduce or eliminate pain or discomfort? Many people have reported amazing results of pain reduction and even elimination of certain pain conditions they have experienced for years. These results are achieved by the scalar energy harmonizing and balancing your body to function in proper “homeostasis” which means “in a state of balance”, as nature intended. When your body is in balance, everything functions better like a fine-tuned engine and your immune system functions better. You can also rub The Power Pendant on pain zones to reduce pain quickly. Are there any side effects of wearing The Power Pendant ? Most people today are very imbalanced by unknowingly being bombarded by EMF (electromagnetic field) and EMR (electromagnetic radiation from cell phone signals and Wi-Fi). When you start wearing The Power Pendant, your body will automatically start to re-adjust to a state of balance which may feel foreign or slightly uncomfortable at first until your body adjusts to becoming balanced again. If this occurs, simply take it off for a couple of hours or less and try again as many times as you need until your body feels comfortable being in a state of harmony. Is The Power Pendant safe to wear? Yes, safe for adults, children and even animals. We only use safe, lab tested minerals and elements to insure that each pendant contains NO magnetic, NO electrical and NO radioactive components of any kind. We never cook, melt, alter or change the “alive” organic state of these elements to insure the strength, stability and life-long scalar frequencies of each Power Pendant. In addition, they are waterproof and can be worn 24 hours per day if you so choose. Is it safe to wear The Power Pendant even though it’s made out of metal? Yes, the elements are contained in a stainless steel or copper housing and it’s true that metal can attract frequencies to the body; however, the scalar energy emitted from The Power Pendant converts and nullifies those harmful frequencies 24/7. Can I use The Power Pendant to scalar energize my drinking water? 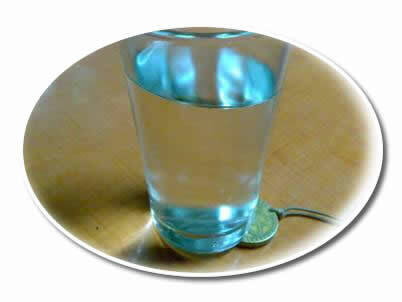 Yes, simply put The Power Pendant underneath or lean it against a glass or pitcher of water for 10 to 15 minutes. The molecules of the water will absorb and “pick up” the frequency of the scalar energy to become scalar energized therefore helping your body to energize and hydrate better. The scalar energized water can also be sprayed on the skin to improve problem areas or chronic skin diseases. What are the benefits of drinking scalar energized water? It is the same as the benefits of wearing the Scalar-Pendant and the effects last 4-24 hours depending on the individual's energy level. The water has a fresher and more pleasant taste. Others have used it on their hair to promote hair growth. What is the difference between alkaline water and scalar energized water? Many have mistakenly believed that making the body less acidic via alkaline water is healthy! This can cause pH imbalance, bone problems and organ damage if not careful. Safest way is fruits and vegetables and your body balances the pH itself through natural processing of these healthy foods. Drinking water is safer when neutral pH, as it is in its natural state. For more information, read Harvey Diamond’s "Fit for Life" book. Scalar-Pendant does not tamper with the natural safe pH of energized healing water. If nature wanted us to drink alkaline water, then water would be alkaline. Keep in mind that water is of neutral pH. If you look for the proof of scalar energy or ‘chi’ energy it’s all around you. Looking for proof of quantum physics is in the results not the cause and effects. Rather like the great religions of the world one either believes or does not. Look at the multitudes of tests and observe and taste the differences of beverages after being scalar energized. The easiest way to instantly realize the positive benefits is by doing the balance and strength test with and without The Power Pendant. How long will The Power Pendant last? The secret formula is encased in a durable, maintenance free housing that will continually emit natural scalar energy frequencies for a lifetime of protection, wellness, and peace-of-mind. How does The Power Pendant prevent jet-lags? Wetter liquids – more ability for the body organs to absorb water, increased ‘hydration’ locked within the natural molecular structure are thousands of molecular clusters. The body organs can hydrate and absorb the liquid more easily. In addition, the surface tension of the water has been removed (bio film) which adds to the hydration effect. Increased oxygen potential – Increasing oxygen in the blood cells increases energy levels. The natural molecular structure locks in the oxygen and other gases within the liquid into quantum suspension. These gases cannot evaporate, as they are part of the liquid. This in turn allows the bodies DNA to absorb oxygen at much higher levels than can be found in other liquids.